London mayor Sadiq Khan on Tuesday called for the city to be given more autonomy to allow it to ride out the economic uncertainty unleashed by Britain’s vote to leave the European Union. While Briton voted 52 to 48 per cent to leave the bloc last week, London was the only region in England to back remaining. Since then, more than 175,000 people have signed an online petition calling for London to become an independent city state. 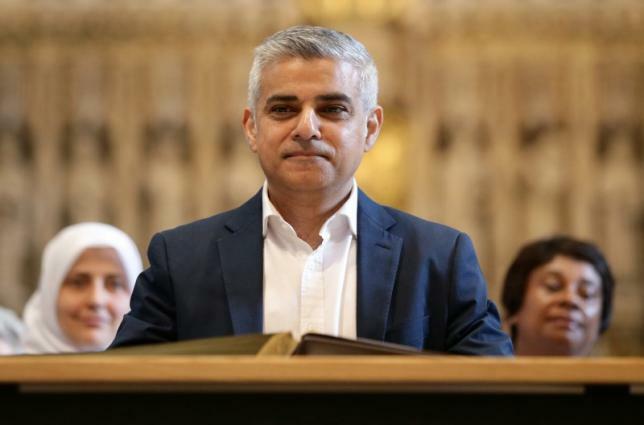 “On behalf of all Londoners, I am demanding more autonomy for the capital — right now,” he said according to the text of a speech supplied by his office. “As much as I might like the idea of a London city state, I’m not seriously talking about independence today. I am not planning to install border points on the M25,” Khan said, referring to London’s orbital motorway. Khan, who campaigned for Britain to stay in the EU, is seeking devolution of tax raising powers, as well as more control over areas including business, transport, housing and planning, health and policing, his office said. The mayor said London, a global financial centre, must also have a seat in the negotiations with the EU over Britain’s future relationship with the bloc. London, which offers by far the deepest pool of capital in the time zone between Asia and the United States, accounts for 41pc of global foreign exchange turnover, more than double the nearest competitor, New York.